Fruitless Pursuits: First Look at Official LEGO Back to the Future Set! 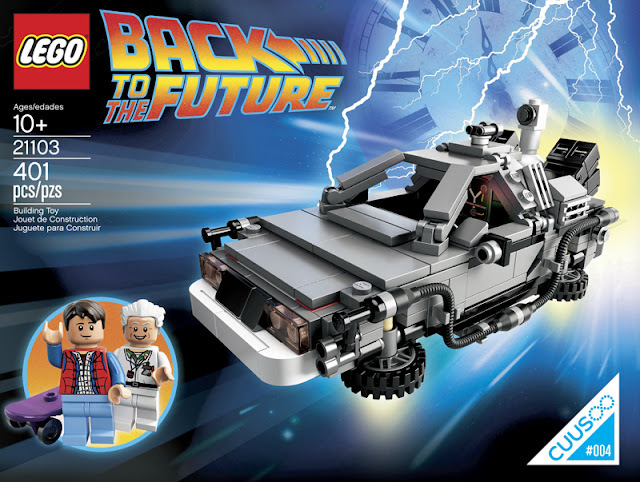 First Look at Official LEGO Back to the Future Set! Complete with Marty and Doc, the Delorean will apparently have enough pieces to convert it into all three versions from the trilogy of films. Hopefully there'll be some minifig customisation options too (future Doc?) but that might be asking for a little too much. Love that Flux Capacitor tile! And crazier still, it will be going on sale this Thursday 18th July, presumably online through the link on the Cuusoo site. This is a one time only deal so make sure you grab it. I've started constantly refreshing already. "What' happens to us in the future? Do we become assholes or something?" Probably! But at least you can own a Lego Delorean!